I had a bad experience at a cafe in the City of London a couple of days ago: I ordered a coffee at the counter, the waitress said that she’d ‘bring it over’, but then it never came. I asked where my coffee was, after 15-20 minutes of coffee denial, and the last two steps were repeated: she said she’d ‘bring it over’, it never came. On a more positive note, their process went wrong in an interesting way. Their coffee provision process (diagram) doesn’t seem to be complicated. I ordered and paid for the coffee, and the person who served me took my name. As far as I could tell, the plan was that someone would then make the coffee and someone else would bring it to me. There were indeed several staff who seemed to share the work of taking orders, making coffee and taking coffee to tables (just not mine). Unfortunately, the one who distributed my coffee gave it to the wrong customer, who presumably neglected to report that they hadn’t ordered it. Asking for a status update didn’t help, and only when I later cancelled the process and asked for my money back did they work out what had happened. I did get my money back, an apology (this isn’t the Netherlands), and a voucher for a free coffee. Ironically, this case worker approach is nothing new in cafes. 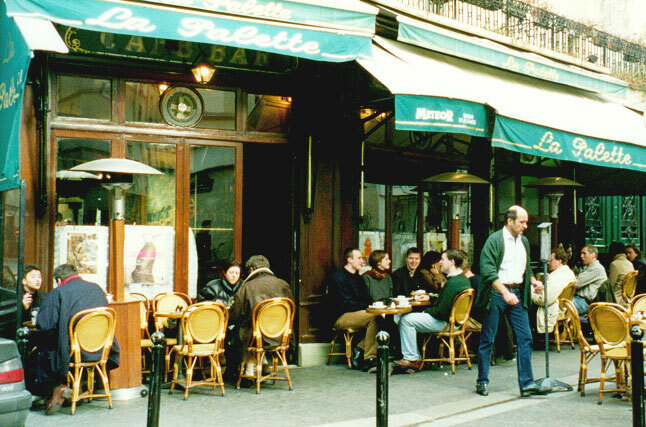 The coffee process failure I experienced would not have happened in an old-school Parisian café, such as La Palette (photo, above), where the waiter who takes your order also brings it to your table, and is far less likely to give the coffee to someone else. Possibly by the simple expedient of remembering what you look like. If you’re thinking about enterprise business process management at this point, then you’re probably dealing with processes that are more complex than getting me a coffee. This includes things like hospital patient management, or making an insurance claim. These processes are no less likely to benefit from a case-worker approach, who can provide a single point of contact. Perhaps more importantly, focusing on one case at a time prevents delays and backlogs due to batching. Delaying cases at one stage in the process because someone wants to do several tasks in a batch increases the total cycle time and most likely introduces overheads of scale, because handling ten cases requires more management than handling one at a time. 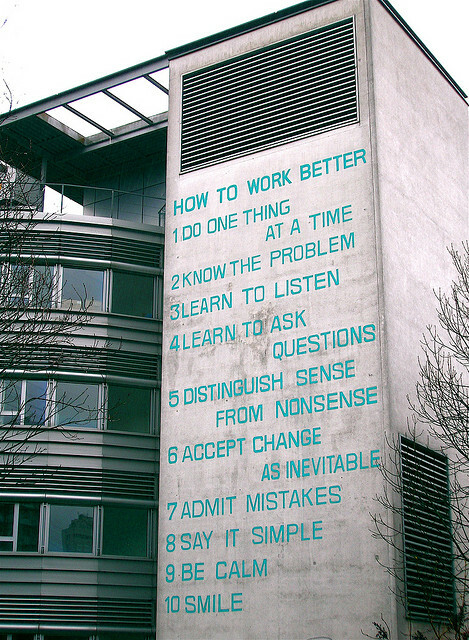 If you squint a little, the first instruction of the artwork How to Work Better (‘do one thing at a time’, below) is about case management, and good advice for people working in both cafes and large service organisations. So is number 10 - ‘Smile’. Previous article: What is a collaboration platform?